I don't know about your kids, but mine are always so hungry. Always! So I am always searching for snack ideas. We are also always on-the-go, so convenience is another issue. Plus the last thing I want to have to worry about with two younger children is a hunger induced fit, especially in public. So I always carry around snacks wherever I go. 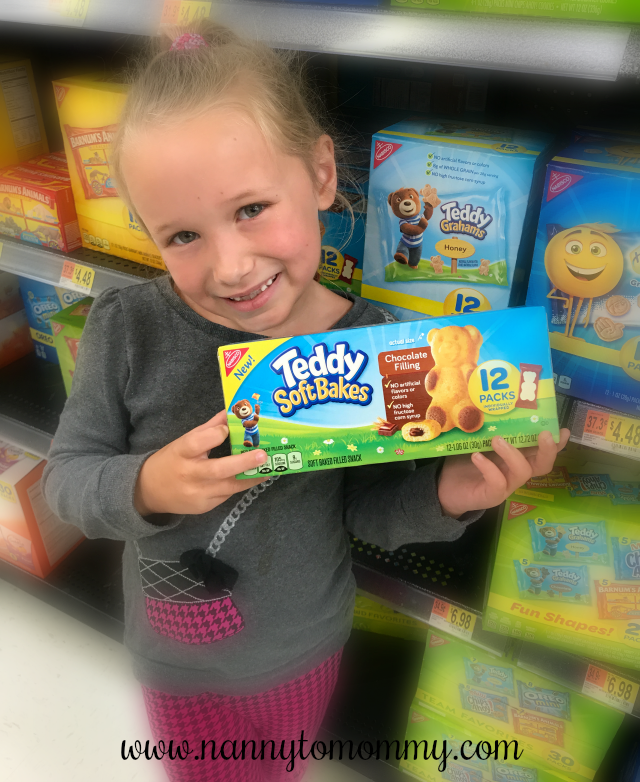 TEDDY SOFT BAKED Filled Snacks are a loveable bear-shaped snack made with quality ingredients such as milk, eggs, and chocolate that contain no high fructose corn syrup, no artificial flavors, and no artificial colors. 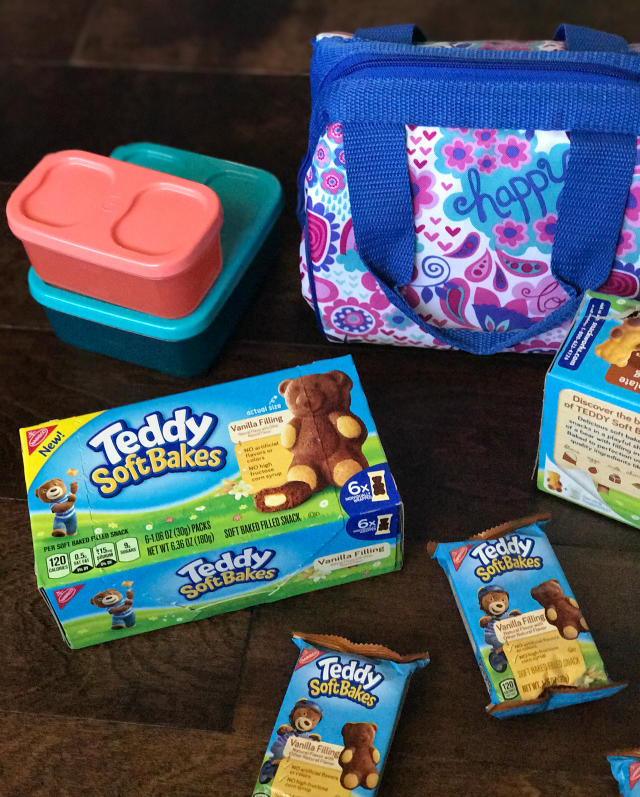 PLUS TEDDY SOFT BAKED Filled Snacks are perfect to throw in my purse because they are individually wrapped. I like to not only throw some in my purse, but in their lunch boxes, my daughter's gymnastics bag, or I carry on practically every where we go. 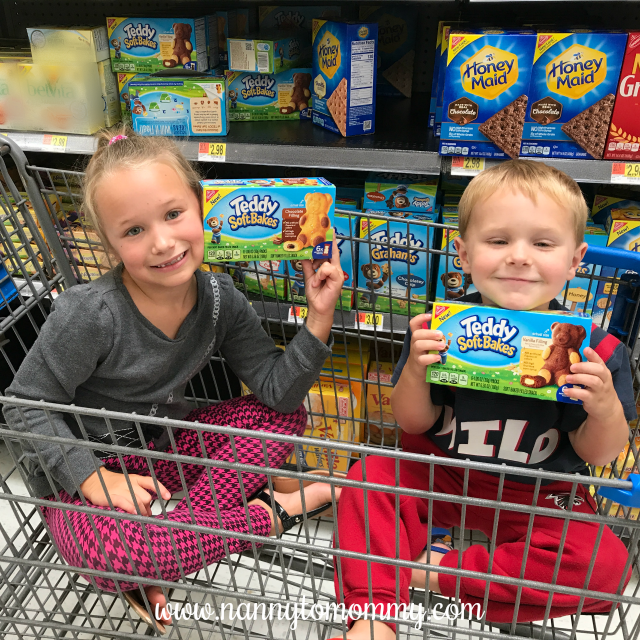 TEDDY SOFT BAKED Filled Snacks are available at Walmart in the Cookie/Cracker aisle. There are 12 and 6 serving boxes available with each bear packaged separately to easily throw in your bag and run out the door. Chocolate and vanilla flavors are available and come filled with either chocolate or vanilla to make them extra delicious. I love chocolate anything and so does my daughter. But she has been asking for these every day since we bought them. But how do they taste? My daughter who is six years old and a huge fan of chocolate, preferred the chocolate filled variety. She asked if I would send a TEDDY SOFT BAKED Filled Snack in her lunch box for a special "treat" the next day. So I take that as a thumbs up in my book. My three year old son and four year old niece are even huge fans! We brought them on vacation and they all gobbled them up. They're soft, so it makes them perfect for smaller hands. But anything that keeps the kids occupied and avoids the hangry attitudes is a win-win in my book. So what do you think of TEDDY SOFT BAKED Filed Snacks? Do you think your kids would like them as a snack? 12 will win a $50 Walmart gift card each and two grand prize winners will win a $200 Walmart gift card each! HURRY! Giveaway ends September 29, 2017. I-C will randomly select 14 winners from all program entries and will facilitate fulfillment of the winning prizes. Nanny to Mommy is not responsible for prize fulfillment. This post was sponsored by Nabisco as part of an Integrated Activation for Influence Central and all opinions expressed in my post are my own. I've seen these in stores but haven't tried them yet. I bet my grandsons would love them! Your kids are adorable. I want to try these.. I haven't seen them here yet. i love the little teddy grahams because they're a great dairy-free treat. looks like these have dairy in them, but they do look good. I have tried both of them and love them. They would be right up my son's alley, esp. taking to school. And, have been buying at publix for a couple years now. Will have to give these a try! Added to my shopping list !